Every patient at Blue Sage Dental deserves a flawless smile, but unfortunately, not every patient is born with a smile they adore. 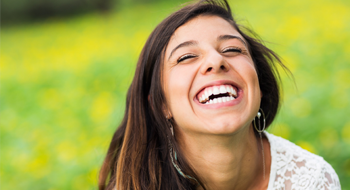 At our Littleton dental office, we offer a wide range of cosmetic dentistry services to create flawless smiles. One of the most popular solutions we provide is porcelain veneer treatment. Many patients avoid cosmetic dentistry because they think they’ll need to spend weeks or months undergoing costly treatments, but porcelain veneers are quickly placed over the course of two appointments. If you want to find out more, please contact our Littleton dental office. 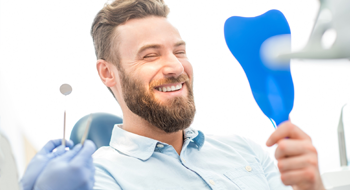 We’ll schedule a cosmetic dentistry consultation to discuss your current smile, desired appearance, and help you create the right cosmetic dentistry plan to meet your needs. Veneers are thin sheaths of dental grade porcelain used to correct or conceal smile flaws. They are attached to the front facing surfaces of teeth. Before placement, veneers resemble a fingernail in size and shape. Once in place, they blend seamlessly, and you’re able to share a flawless smile with complete confidence. Veneers are placed over the course of two dental treatment appointments. At the first visit, we numb the area to be treated. Then, a small amount of tooth structure is removed. This allows the veneer to lay flat within the natural line of the smile. Once teeth are prepared, we capture bite impressions that will be used by our lab to craft your custom veneers. Before you leave the first appointment, we attach a temporary veneer. This allows you to get used to the look and feel of your smile and protects the prepared teeth. Once we receive the final restoration from our lab, you can return to the office for your second appointment. During this shorter second visit, we remove your temporary veneer and attach your custom porcelain veneer. Once your veneers are in place, you should consider switching to a soft bristled toothbrush or less abrasive toothpaste. 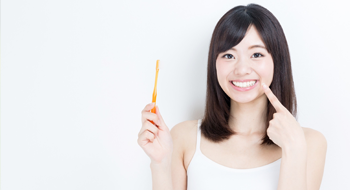 We can make recommendations to help you find the best oral hygiene products. Using a waxed floss may also be preferable to avoid pulling on the veneers that may occur with more fibrous materials. Unlike other restoration materials, porcelain is stain resistant, so you can continue to enjoy your morning cup of coffee or spaghetti with red sauce without worrying about discoloring your veneer. 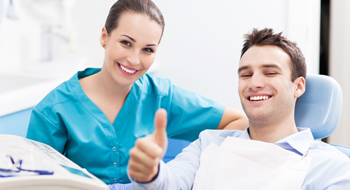 Of course, you’ll need to visit our Littleton dental office twice a year for dental checkups. If there are any concerns with your veneer, we can often repair them.